The Periscope Project is a cooperative of artists, designers, scholars, and community advocates headquartered in four shipping containers on the small San Diego lot of founder Petar Perisic. The space functions as a public amenity and a living visualization of alternative urban land use, exploiting temporary-use zoning loopholes as an opportunity to realize a new paradigm of urban citizenry – one engaged at the level of the built environment. 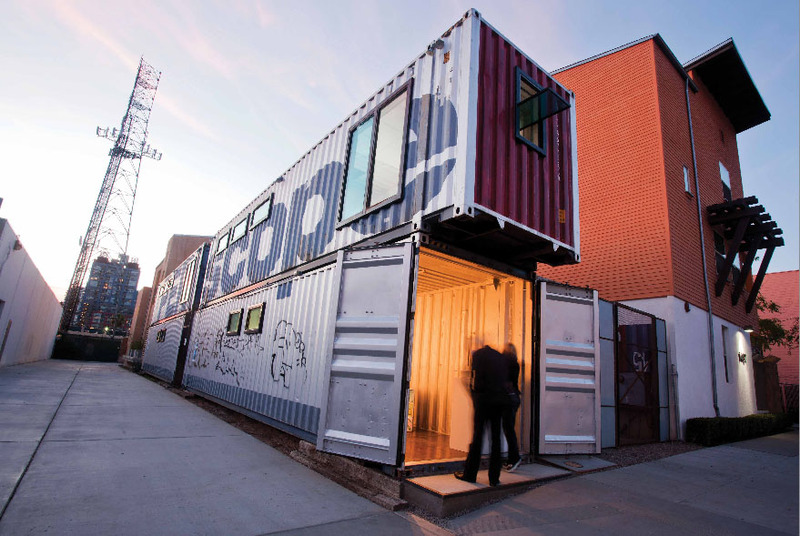 The cooperative curates, organizes, and hosts events, exhibitions, panel discussions, and lectures in the flexible spaces, and also emphasizes educational programming to engage local youth. The Periscope Project has become a central force in rallying community activism and has evolved into a loose practice that develops public art and architecture interventions.